This one-part polyurethane paint is glossy, durable, and easy to use. Roll it on with a foam roller, tip it out with a brush, and everyone will think you’ve sprayed your hull. 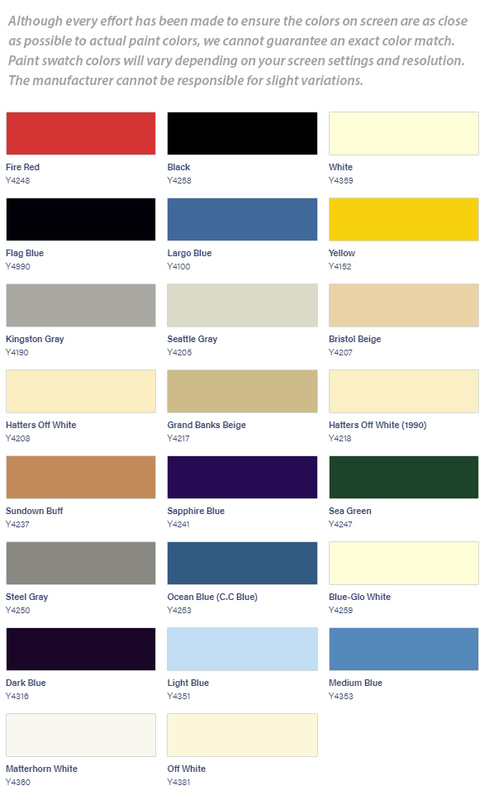 Brightsides paints contain Teflon® which makes it easier to clean and better able to resist staining, chemicals & dirt. Teflon® also increases the abrasion resistance of Brightsides. See our Shop Tip on Painting with Marine Polyurethanes for hints and tips on how to get that perfect finish. While Interlux Brightsides will stick to the non-blushing epoxies like MAS, we recommend the use of a primer with this paint, if possible. The instructions on the can say "Not for use below waterline," which causes some confusion. What Interlux means by this is that it isn't for big, heavy boats that live in the water for months or years. For kayaks, canoes, dinghies, rowing boats and so on, which never spend more than a few weeks at a time in the water, Interlux Brightsides is perfect and we've been using it on small boats for 25 years. If your boat is going to live in the water for days or weeks, you should consider using either a two-part linear polyurethane paint or an herbicidal bottom paint. Don't use primer beneath Brightsides in areas that are fully immersed. We stock quarts in the following colors: Yellow, Fire Red, Sea Green, Dark Blue, Hatteras Off-White, White, Sapphire Blue, and Black. Other colors from the chart are available to order, but they take a few more days to reach you. To choose a special color select the "Special Color" option from the dropdown and type your color choice into the "Special Instructions" field on the final checkout screen. Sold by the quart (0.946 litres). ON AVERAGE a quart of Brightsides paint is good for about three coats over 100 square feet. There is considerable variation, however, based on the thickness of your coats, and because the amount of pigment (and thus opacity) varies between colors. We've found that what can be done with white and blue in three coats takes five coats with the Interlux yellow, for example. * International Customers: we do not ship this product outside of the US. Special order paints are subject to a 20% restocking fee. Great for following curves & to keep a fine edge. Cut in half for a total of 4 roller covers. A must to seal around deck mounted fasteners.